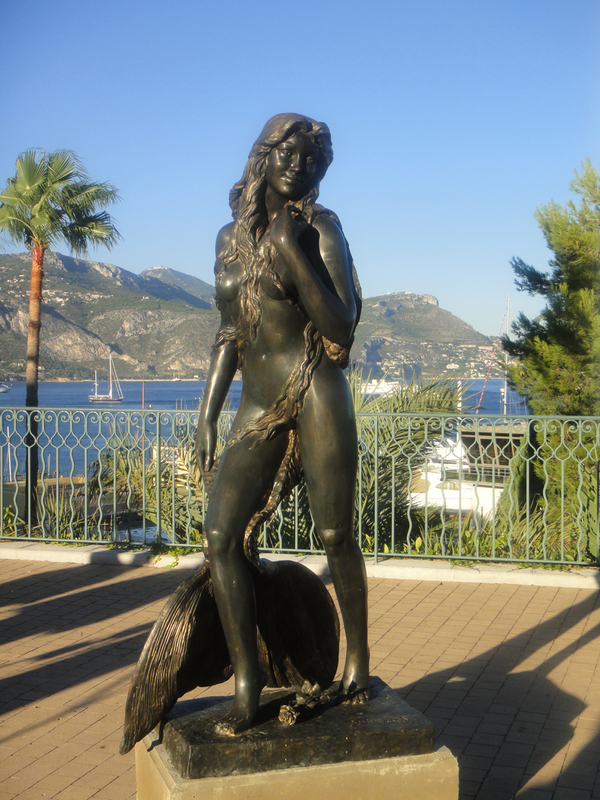 Ama du Cap Ferrat mermaid statue. 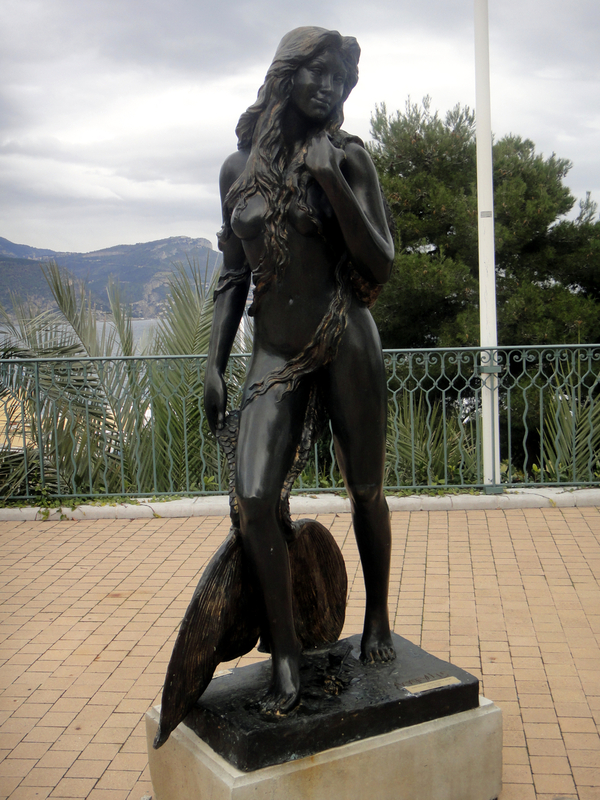 Photo courtesy of Amaryllis. 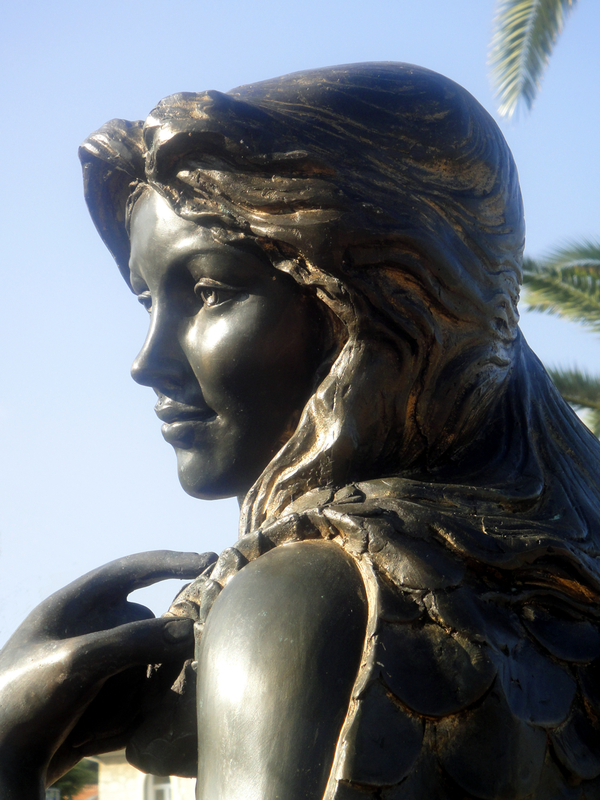 There are unique touches to each of the statues, such as the patina chosen, the inscription with the name and the coordinates, and in this case the rose at Ama’s feet.